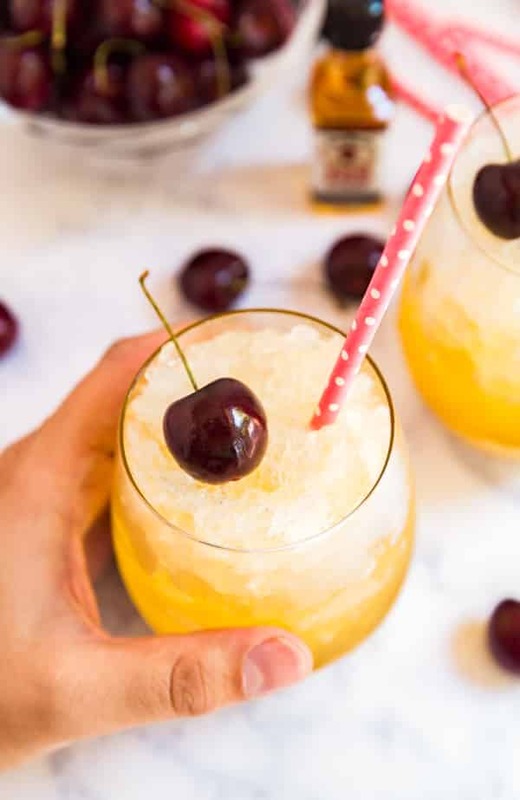 Black Cherry Lemonade Bourbon Slush is the most easy and delicious boozy recipe to bring to a party. It takes minutes to put together and then you freeze it overnight. Everyone goes crazy over this! This post has been a year in the making. 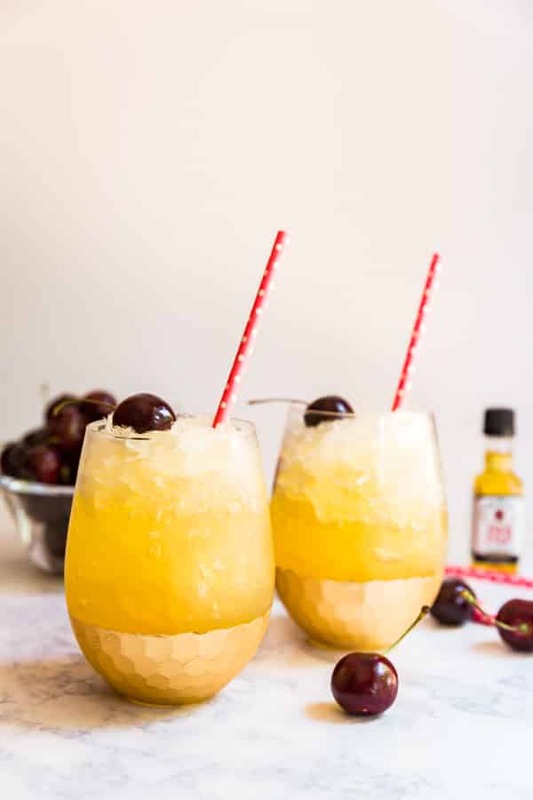 I first tried this Bourbon Whiskey Slush at a family picnic last 4th of July, as in 2017! A cousin brought it and everyone was basically losing their minds over it. Including me. You guys, I don’t drink much and when I do, it certainly doesn’t involve Bourbon, Whiskey or anything remotely related (I’m more of a tequila gal, although these days I tend to stick to a small glass of wine or a beer). 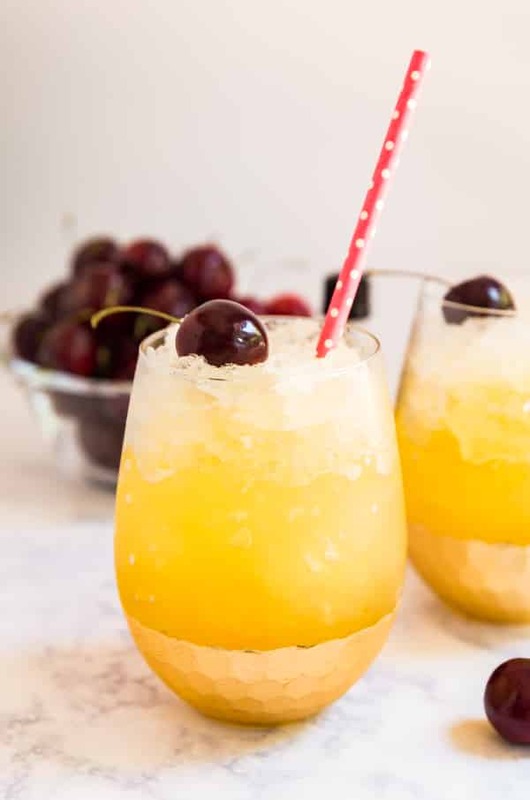 But this was light and sweet and totally refreshing on a hot and summer day. This was the stuff that everyone’s boozy summer dreams are made of. I immediately asked them if I could share the recipe on here, which they graciously agreed to. But life was crazy busy and here we are one year later. But Ive finally gotten my act together and I’m thrilled to share this with you. 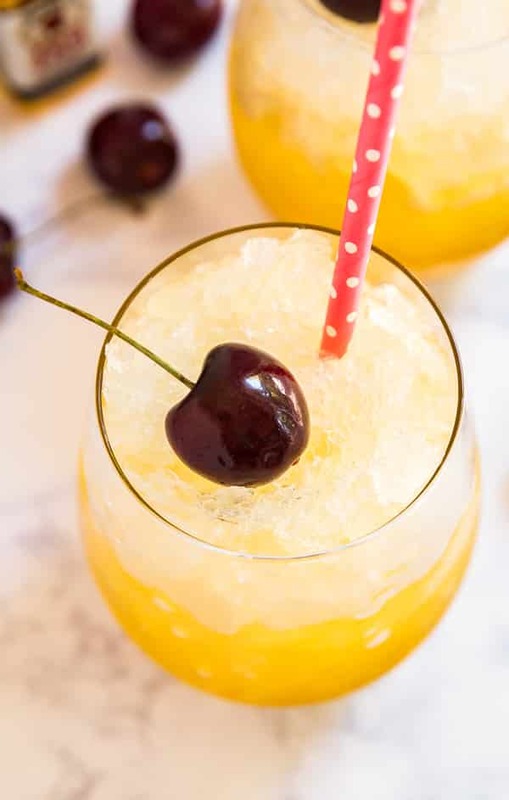 TL:DR if you want to be the person at the party that brings the thing that makes everyone go crazy over how good it is (and with minimal effort on your part) make this boozy slushy! This is 100% a make ahead recipe. It needs to be made the night before. Unfortunately, I don’t have a hack to make it freeze any fast so throw it together the night before and grab-and-go the next day. Make sure you store it in the freezer once you get to your party until everyone is ready to enjoy it! In terms of purchasing your Red Stag, talk to the people at your local liquor store to figure out what the best deal will be. For me, it meant buying the little airline bottles. I ended up using thirteen of them, but it was cheaper using larger bottles. The original recipe uses Crystal Light. I haven’t tested this with any other brand of lemonade, but I suspect it would still be great. If you have a big enough pitcher, you can totally mix it up and freeze in there.Otherwise a mixing bowl helps. My largest pitcher fit the mix but it has something of sentimental value and I was a little nervous about something happening to it so I divided it between a 9″ x 13″ and 8″ x 8″ pyrex pans (both found in that awesome Pyrex Pan Set, which I use constantly), both of which have covers which made for easy and clean freezing and transportation (we enjoyed the slush in these images on 4th of July this year!). Both filled up half way, which left plenty of room for stirring. Speaking of stirring, it’s a good idea to give it a stir an hour or so before serving if you have time. 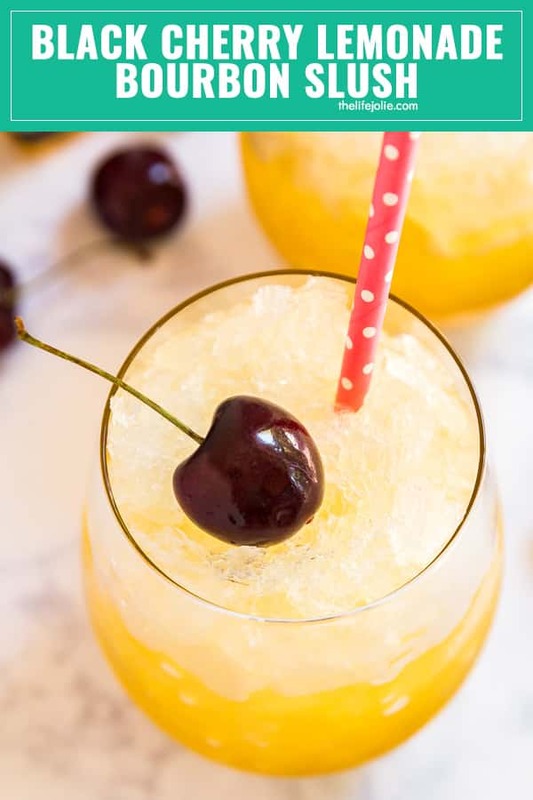 What’s going to happen is the top layer will be ice and the bottom will still be liquid since the liquor keeps it from fully freezing (which is good because you get slush!!). Use a sturdy spoon- I used a wooden spoon – and break up that top layer of ice and then mix it together and pop it back into the freezer. It won’t kill the recipe if you forget to do this, but I think it makes it a little better. Mix the lemonade and bourbon in a large pitcher or mixing bowl and stir well until fully combined. Stir the next morning and break up the ice to make a slush and return to the freezer until ready to serve. If it melts, you can always refreeze it. 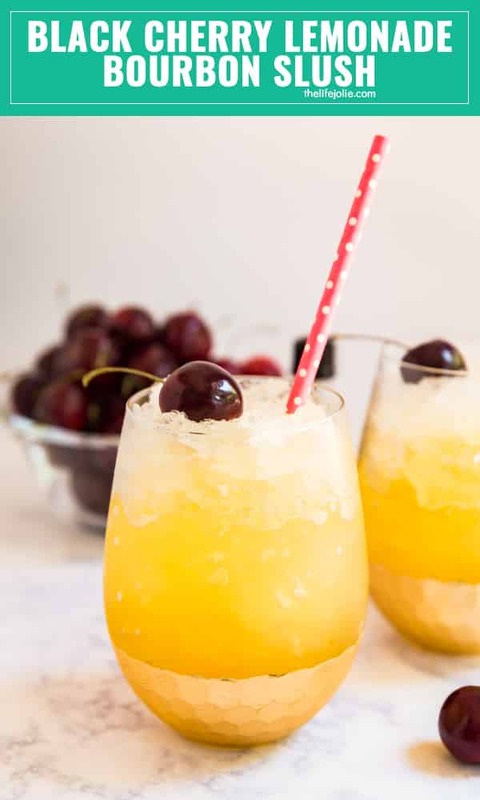 Looking for some other boozy recipes? November 19, 2018 at 10:22 pm So awesome- thanks Lew! I'll add this note to the recipe!